Ants are amazing little creatures. Creative, industrious and strong, yet all but invisible – it’s hardly surprising that one of Marvel Comics’ superheroes would draw his powers from little old Lasius niger, the black garden ant. One of the first Avengers, Ant-Man is the latest Super to make it to the big screen as part of Marvel’s all encompassing Cinematic Universe. 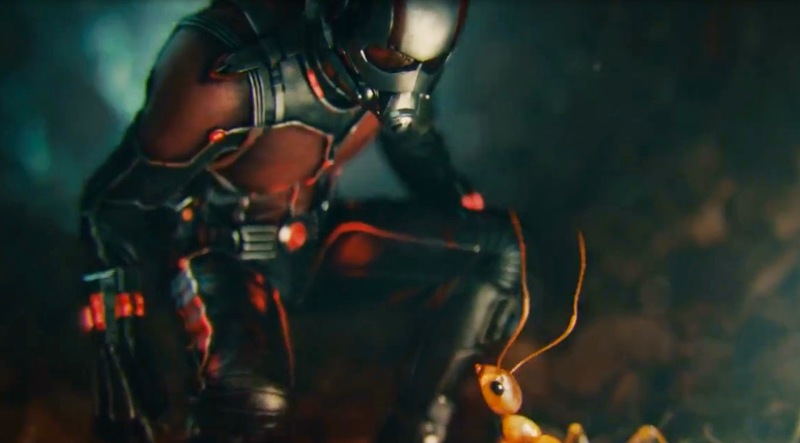 In this version Ant-Man is Scott Lang (Paul Rudd), one of life’s lovable losers, a little guy who is determined to go straight after getting out of the Big House. Life on the outside isn’t easy though, and when he loses the only crummy job he can get, he’s forced back into a life of crime, specifically a burglary job cooked up for him by his side-kick, Luis (Michael Pena). The job is breaking into “some old, rich guy’s house” and cracking the ancient safe he’s hiding in his basement, only when he gets inside this one all he finds is a suit. The Ant-Man suit – a mechanism for shrinking and enlarging living matter while increasing its power 10,000 fold. The break-in turn out to be a set up to bring Scott under the wing of the suit’s designer, Hank Pym (Michael Douglas), a former member of SHIELD, the super-secret intelligence agency that deals with superheroes. Pym has been trying to keep the suit’s super powerful technology out of government hands for decades, only to be thwarted by his protege Darren Cross (Corey Stoll), who’s developed shrinking tech of his own. Now Scott must don the suit and wrest control of that tech back from Cross, lest it fall into even more dangerous hands than his. You might have been off from seeing Ant-Man by a little superhero fatigue exacerbated by rumours about the film’s original director Edgar Wright (Shaun of the Dead, Scott Pilgrim) being quitting when the film was already well under way. 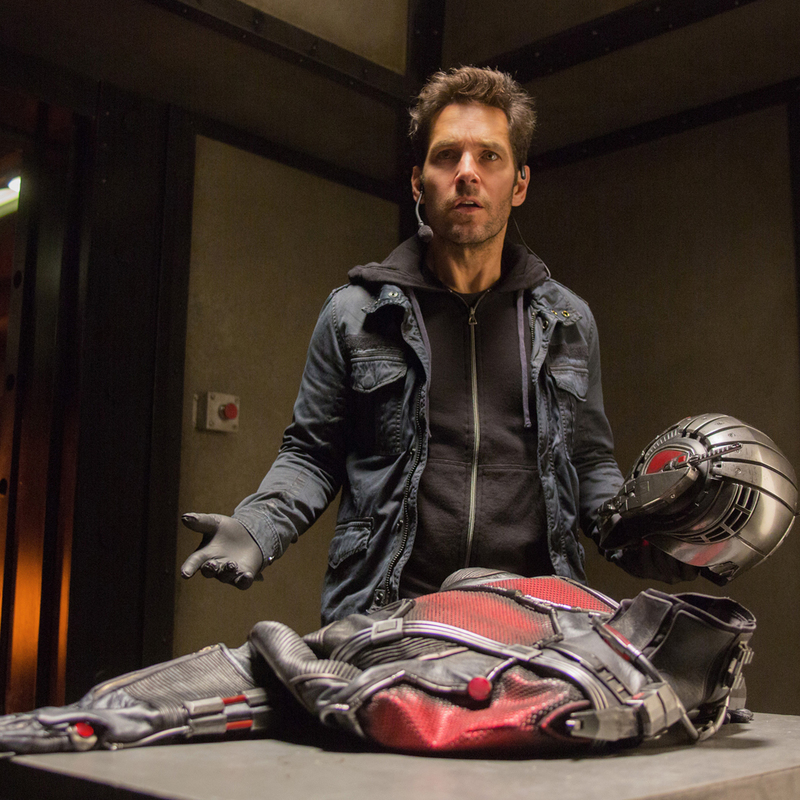 It’s a pity, but bad press can cast a pall over a good film, and Ant-Man is a good little film. In fact, it’s everything a Marvel film should be: neat, deftly constructed, with buckets of good humour, a brilliant cast and eye-popping action set pieces. Rudd is perfect as the Greatest American Hero/fish-out-of-water type, having great – or should that be little? – ness thrust upon him. His chemistry with both Lilly and Douglas as his mentors, is exceptional, not to mention his chemistry with the ants, who make charming sidekicks. Like Guardians of the Galaxy and Iron Man before it, Ant-Man is a hero’s journey – from obscurity to greatness via the seedy underworld of arms selling and global threats. But it’s all done with so much humour and fun, it feels fresh. That’s down to Wright’s hilarious script, which replacement director Peyton Reed has clearly shown the utmost respect. You’ll recognise Wright’s trademark montage exposition gags, and plenty of scale gags as befits a film called Ant-Man. There’s even a nice bit of product placement disguised in a joke about The Cure’s Disintegration – who else would have a joke about The Cure in a lighthearted action film? I saw Ant-Man in the region’s largest screen, The Embassy in Wellington, and let me tell you, there’s no better place to see this film. The incredible action set pieces play with scale so beautifully that being dwarfed by 60 odd feet of silk yourself just adds to the experience. Altogether Ant-Man is Marvel at its finest. Don’t miss it.